A delicately shaped ladies' plain ring in chic 9ct white gold. Pure and simple sophistication for the modern woman. 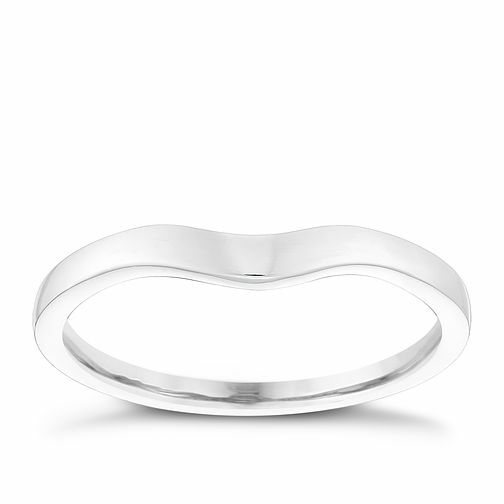 9ct White Gold Shaped Band is rated 5.0 out of 5 by 3. Rated 5 out of 5 by Anonymous from White gold wedding band The ring was just what I was looking for simple white gold shaped ring that fits perfectly to my engagement ring. Very pleased after lots of shipping around I found the perfect ring.